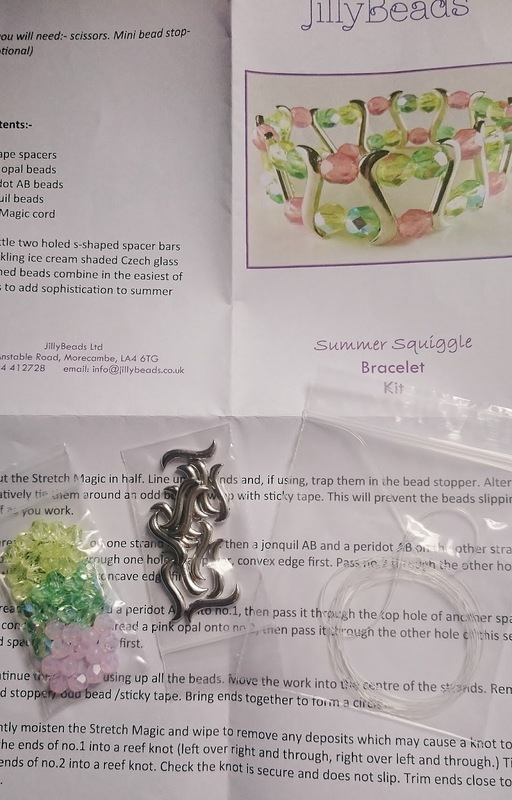 I was recently asked if I would like to receive a jewellery making set from Jilly Beads to review and was sent the Summer Squiggle Bracelet kit which costs £4.00. The kit arrived well packaged and contained all the items that were needed to complete the bracelet. 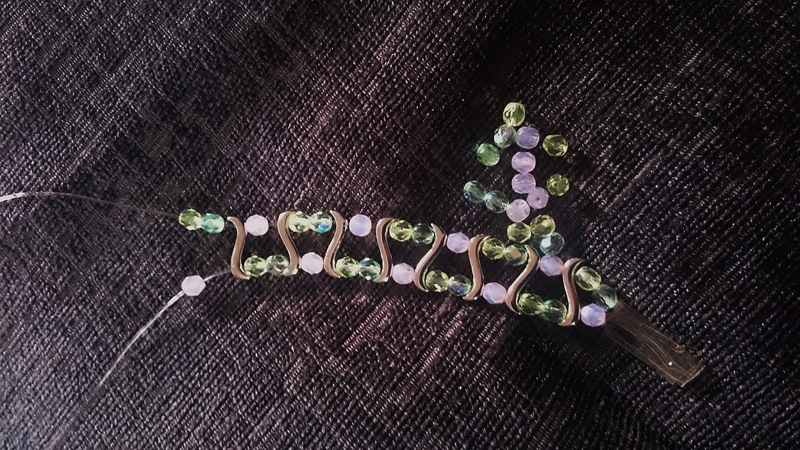 I was really surprised how easy it was to make this gorgeous bracelet with the instructions provided. It took me no more than half an hour to make and as you can see from the result, I was really impressed with myself. 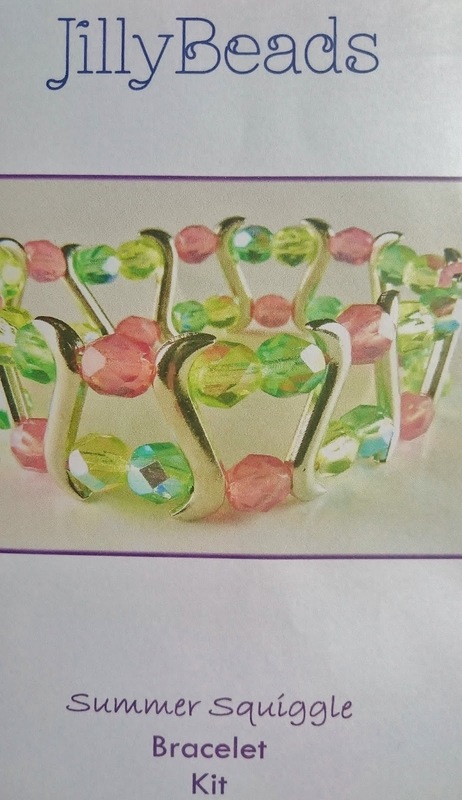 Jilly Beads is a family run business based in the North of England with over 13 years experience. 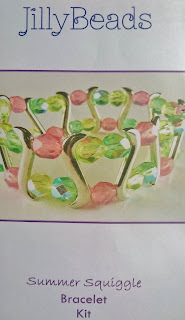 They offer a huge selection of beads and kits and have a partnership with Swarovski Elements offering one of the largest selections in the UK. Wouldn't these kits be fabulous for either a older girls party or hen party? I have 5 of these sets to win and they are ideal to keep the girls happy so get creative and enter to win. 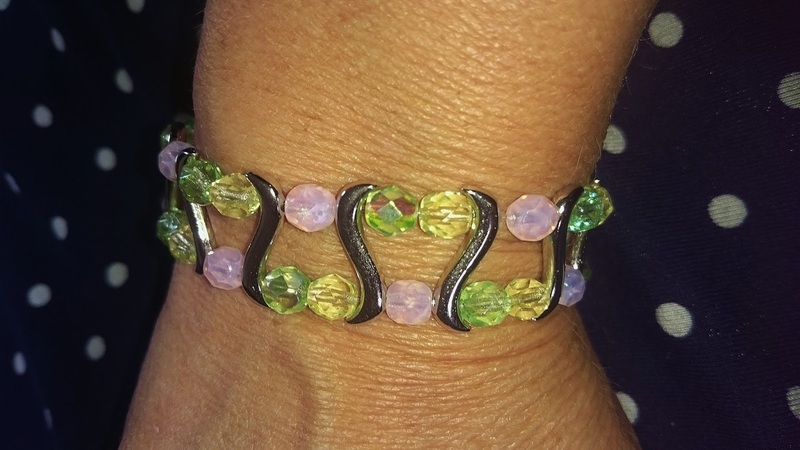 I was sent this bracelet free of charge for the purpose of this review but the opinion is my own. I love this kind of creative things! I wish I had more time to do this more often! This looks lovely ! Hi Laura! The instructions are really clear to follow, and there are picture instructions on facebook too. You can download the instructions online and try with a piece of string first if you are wary of buying the Shamballa. Keep the tension even, and tape/pin the work to a fixed station- it definitely helps!!! I love http://www.jillybeads.co.uk/gemstones-and-freshwater-pearls/gemstone-12mm-rounds they are beautiful! I love the Starfish Pendant. 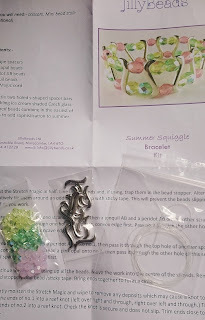 I love the Swarovski BeCharmed beads! Might have to buy some for some kumihimo projects in the future. The Czech Project Bead Black and White set. I love the Beach Star Necklace! Lovely jewellery. Nice to see something a bit different! I really like the gemstone beads. http://www.jillybeads.co.uk/charm-bead-sterling-silver-bracelet-hinged-clip This is great and then I would have fun choosing the beads! I like the Starfish Pendant. The Royal Navy Necklace kit is nice because the colors would work for the 4th July. I love the Gemstone Mix: Turquoise. Such beautiful colours and reminds me of the seaside.